With Mother's Day is just around the corner I have rounded up a few gifts that would be great for Mom. 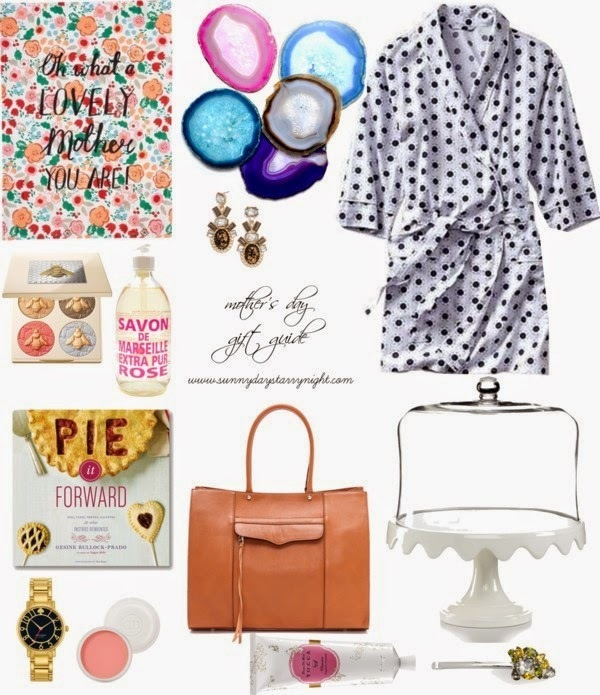 A few options include a classic handbag that would be something your mom could use for years to come, a pretty cake stand to display the delicious treats she whips up, a sparkly bobby pin to help her dress up any look, or a chic robe to encourage her to relax and pamper herself. What will you be getting your mom for Mother's Day? Hi Tracy, I love your selection! Such a great gift guide!! That robe is darling!! such cute gift items! I really need to get my mothers day gifts in order quickly! I don't know about my mom, but I would LOVE all these things! That orange bag, cake stand and pie book are awesome!